WASHINGTON — The House delivered a rebuke to President Donald Trump on Thursday by voting to condemn his administration’s move to restrict transgender men and women from military service. The Trump administration’s policy bars people who have undergone gender transition from enlisting. It also requires military personnel to serve as their biological gender unless they began a gender transition under less restrictive Obama administration rules. The policy is being challenged in court. The Pentagon has said its new policy will take effect April 12. An estimated 14,700 troops on active duty and in the Reserves identify as transgender, but not all seek treatment. 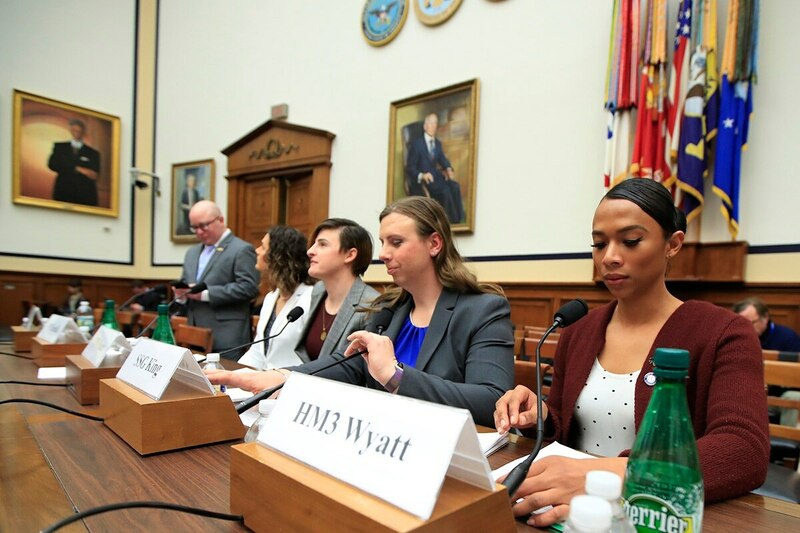 Since July 2016, more than 1,500 service members were diagnosed with gender dysphoria; as of Feb. 1, there were 1,071 currently serving. The Pentagon says it has spent about $8 million on transgender care since 2016. The military's annual health care budget tops $50 billion. All four service chiefs told Congress last year that they had seen no discipline, morale or unit readiness problems with transgender troops serving openly in the military. But they also acknowledged that some commanders were spending a lot of time with transgender individuals who were working through medical requirements and other transition issues.